The CLC has had a bit of an on-again, off-again relationship with the Fox Valley. Pastor Ted Barthels served a small group in Neenah in the early 80’s. At point they had even purchased land but they were never able to build a church. After some years, the group fell apart and joined other area CLC congregations. There are currently two members at Living Hope who were a part of that first group. The formation of Living Hope Lutheran Church goes back about a decade. There were a number of families in the area who were members of Luther Memorial in Fond du Lac or Faith Lutheran Church in Markesan. Theses members began holding services every other week in Green Bay. Pastors Neal Radichel and Paul Krause served them. Around 2010, the group formally organized as Living Hope Lutheran Church. A few years after organization they called Michael Schierenbeck as part-time pastor. He served for about a year. 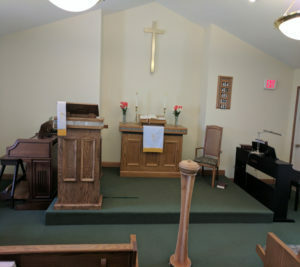 In 2014, they requested and received full support from the CLC as a mission congregation and called for a graduate from Immanuel Lutheran Seminary in Eau Claire. Pastor David Ude was assigned the call and has served Living Hope since. 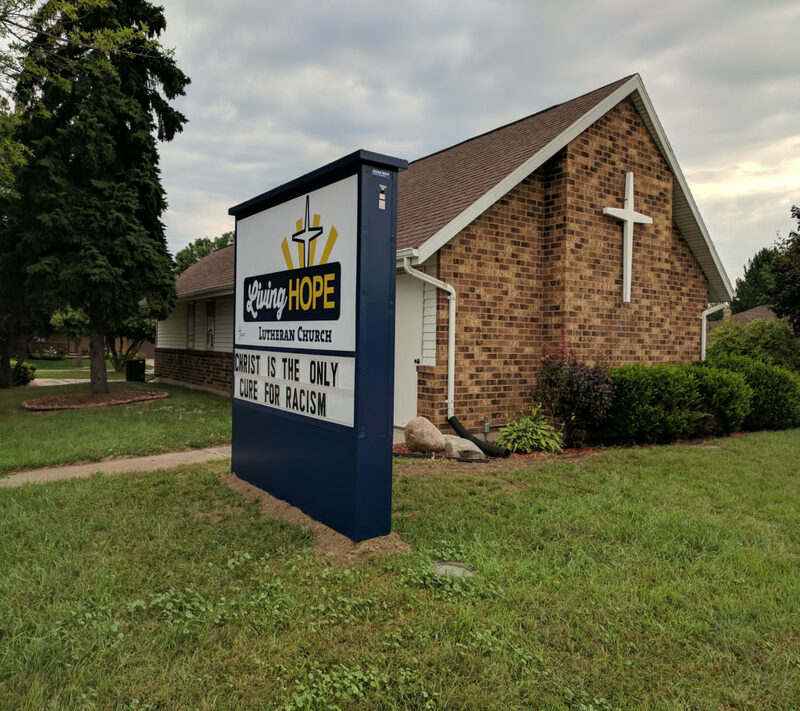 Various buildings were rented over the years but in April 2016 the Lord graciously granted the congregation an opportunity to purchase a permanent church building at 3100 East Calumet Street in Appleton. We’ve had many opportunities to share the gospel with those in need and though we have not yet gained members this way, we are confident in the power and purpose of the Word of God. This year’s VBS gave us the opportunity to teach 15 little lambs of their Shepherd and Savior (9 were non-members) and we are beginning a once-monthly Friday Night Bible School and free babysitting night to continue those opportunities. Also planned this year is a Seminar on the Reformation scheduled for the fall.